This RowingWOD™ seminar is for anyone that wants to get better at rowing, learn to build a bigger engine and improve their mental game. Athletes, coaches, trainers and gym goers of all ages are welcome and will be allocated their own machine on this full-day seminar. The first part of the day is spent looking at the machine and your personalised setup on it based on your biomechanical, technical and physiological abilities. You’ll spend a lot of time engraining good movement and biomechanics and understanding the RowingWOD™ principles, philosophy and fundamentals to unlock free speed and efficiency on the machine. You’ll frequently divide into small groups to work through a variety of drills, exercises and workshops that will highlight and improve technical errors. 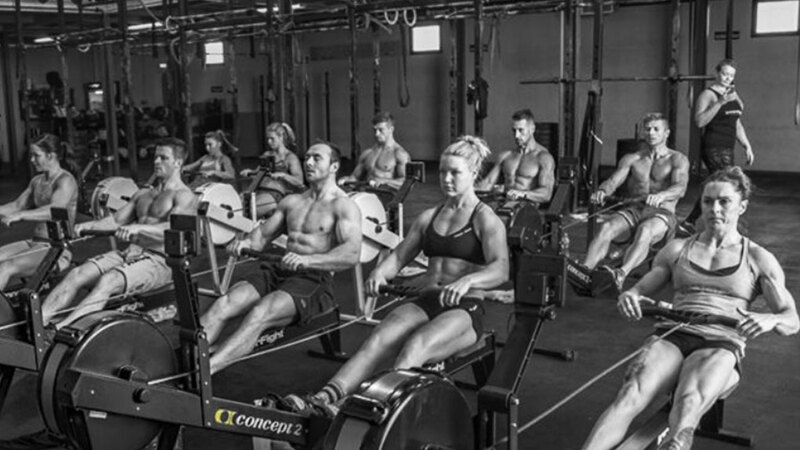 These are combined with a variety of rowing workouts that teach you how to use the entire functionality of the Concept2 rowing machine and will show you how to scientifically monitor your training, teaching you exactly what all your numbers mean. The next part of the seminar focuses on performance. You’ll run through drills to maximise power output for different workout scenarios and you’ll be put through your paces to figure out your optimal pacing for a variety of WODs. We will also discuss the power curve of your stroke and how to use it to improve your rowing performance. You’ll then learn how to use your scores to write a structured and progressive training programme to take away from the seminar. You’ll then learn how to approach rowing in the context of fitness workouts. We look at a variety of WODs and how to use the numbers to come up with an effective strategy for attacking a workout. The seminar then focuses on specific scenarios, namely rowing for metres versus calories, sprinting and transitions. You’ll learn how to pace calorie workouts and how this differs from the traditional distance races. We’ll then talk about sprinting and how to maximise power output over the shorter distances on the machine, as well as put into practice what you’ve learned. The final segment of the seminar focuses on how to integrate rowing into your training whether you are an individual athlete, coach or gym owner. A series of practical demonstrations and workouts will give you a few ideas on how to bring more RowingWOD™ into your training repertoire. The seminar will close with a Q&A session and closing remarks. Coaches and trainers will learn how to coach, spot, and cue their athletes for a broad variety of movements and scenarios. All RowingWOD™ seminars and training camps will be conducted by Olympian, double-world silver medallist and coach, Dr. Cameron Nichol. 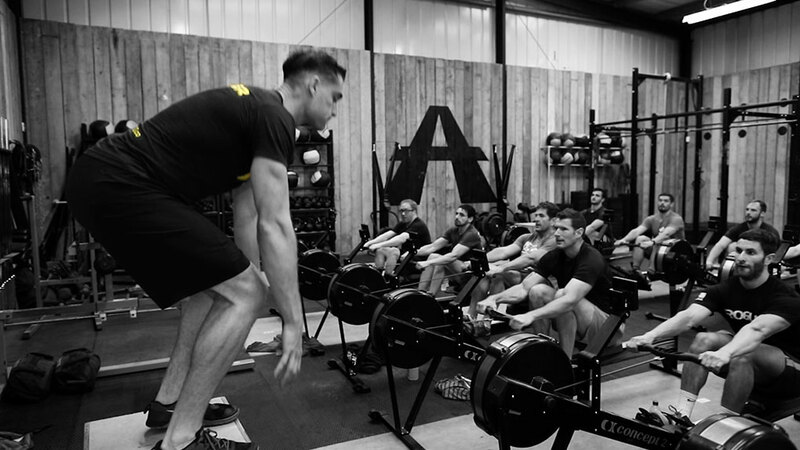 Cam is uniquely placed to share his insight from his time with the Great Britain Rowing Team, his experience from coaching the world’s top CrossFitters and his philosophy on rowing, conditioning and fitness. He will occasionally be joined by assistant coaches depending on group size and format of each event to help maximise coaching contact for each participant. No prior experience of rowing or competitive fitness is required. All that is required is a good understanding of English and an absence of any serious injuries. Participants are more than welcome to bring notebooks, record videos, and take pictures to document their learning and experiences. RowingWOD encourages you to share all that you’ve learned but we ask that you do not publish the seminar content in its entirety in any format. An attendance certificate will be available on request to participants that have participated in 100% of the seminar. This certificate is for attendance only to demonstrate full attendance at a RowingWOD™ seminar. 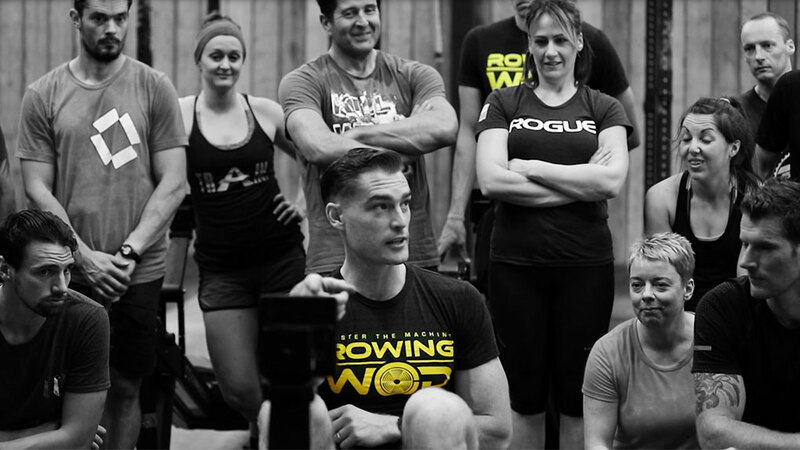 It does not qualify the participant to use the RowingWOD™ name or to advertise themselves as a RowingWOD coach, trainer or to be certified in any way. 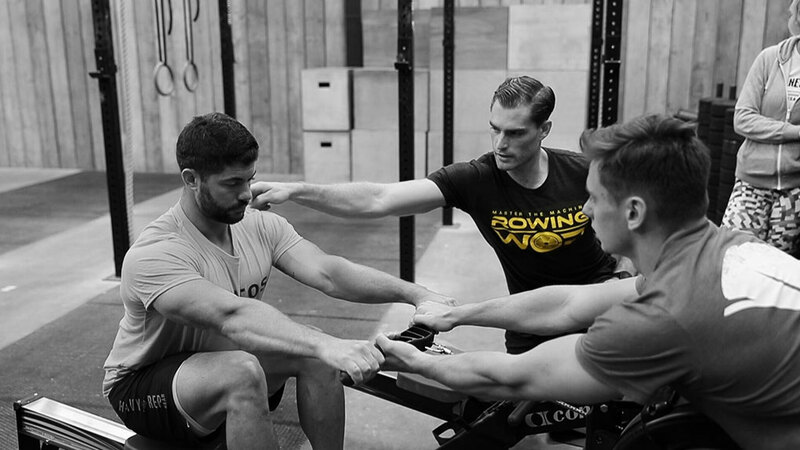 RowingWOD™ is a registered trademark and all seminar course content is copyrighted. Any breach of these terms will be subject to legal action. 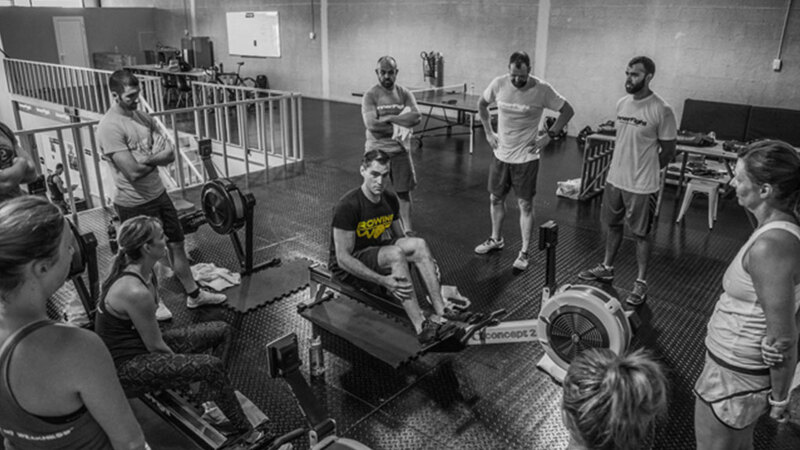 All RowingWOD™ bookings for seminars, training camps and events are non-refundable. If a registered participant cannot attend an event, we kindly ask they find a replacement and notify RowingWOD™ of their replacement. If a participant is unable to find a replacement, they may use the credit for another like for like event within six months of the date of their booked event. RowingWOD™ reserves the right to reschedule or cancel events up to 3 weeks prior to the event. In the event of a reschedule, RowingWOD™ will notify all participants and refund any registration fee upon request of the registered participant. If no request is made, RowingWOD™ will automatically apply the registration fee as credit for a future or rescheduled event. In the event of a cancellation, RowingWOD™ will notify all participants and all registrations will be refunded unless the participant wishes to use that credit for another session. RowingWOD™ recommends that participants do not finalise any non-refundable travel plans until 3 weeks before the event. All trademarks referenced on the RowingWOD™ site, social media, advertisement, etc. remain the property of their respective holders, and this site only uses them to directly describe the appurtenant goods, sports, athletes and services themselves. We intend any such use of any trademarks to be solely nominative in nature. RowingWOD™ is not affiliated, licenced or endorsed by Crossfit®, Crossfit inc. or any of their subsidiaries. Crossfit® is a registered trademark of Crossfit, inc. and any usage of the term anywhere on the RowingWOD™ website, social media, advertisement, etc. is used simply as part of the description of this type of exercise plan or other similar product. The description of such products does not indicate any endorsement, sponsorship, or affiliation with Crossfit, inc.
RowingWOD™ will provide invoices or receipts upon request. For any further questions, please email info@rowingwod.co.